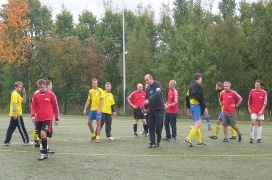 Since 2009, the Danish and Swedish chamber members have competed in football every autumn. Traditionally we have played on the football ground at Arigato Sports Club. Why should we change the tradition? We are not. Also this year, we invite all healthy, sporty, handsome men to chase the ball for the honor of the nation's flag, and all support forces next to the field to cheer at the side of the stadium. 2014 - the cup goes to ?